Have you ever participated in a swap? I know you were thinking of the show, Wife Swap and I don’t mean that kind of swap. I recently had a wild hare and decided to participate in a few swaps. When I first contacted Michelle from Quilts from my Crayon Box, I think she was a bit puzzled. Why in the world would I want to participate in a moda fabric swap when I have access to all the fabric in the world? RIGHT? Believe it or not fabric comes and goes and I am always kicking myself that the “good stuff” is all gone. I never let this get me down because there is always something better coming down the pipeline. 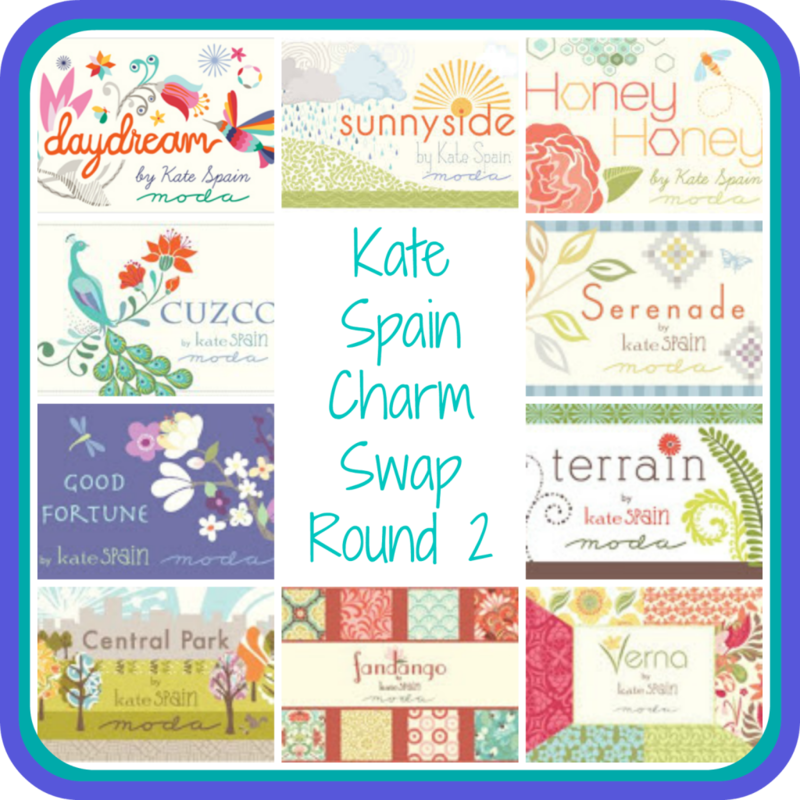 The cool thing about this swap is there are pieces from 10 different Kate Spain collections. Seriously this stuff is priceless. To read about the swap, check out Quilts from my Crayon Box’s blog post. The tough thing now is to decide what to make OR just pet them. Another Swap that I participated in was the worldwide polka dot exchange put on by Prairie Stitches Quilt shop. Blog post here. 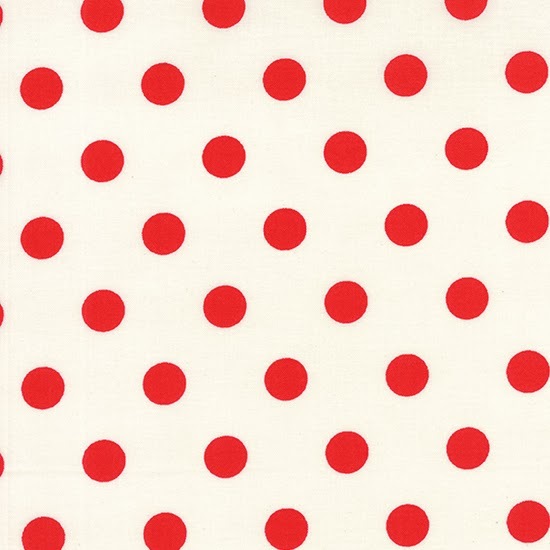 Everyone knows that I love polka dots so this was perfect for me to add more dots to my collection. The world wide web certainly has connected us all but I miss the actual friendship groups, sewing circles and small group fellowship. Prairie Stitches organized this swap so each person would receive an envelope with a 10″ square from the actual individual that sent the fabric. This meant I received 60 pieces of mail that was not a bill, a catalog or junk. 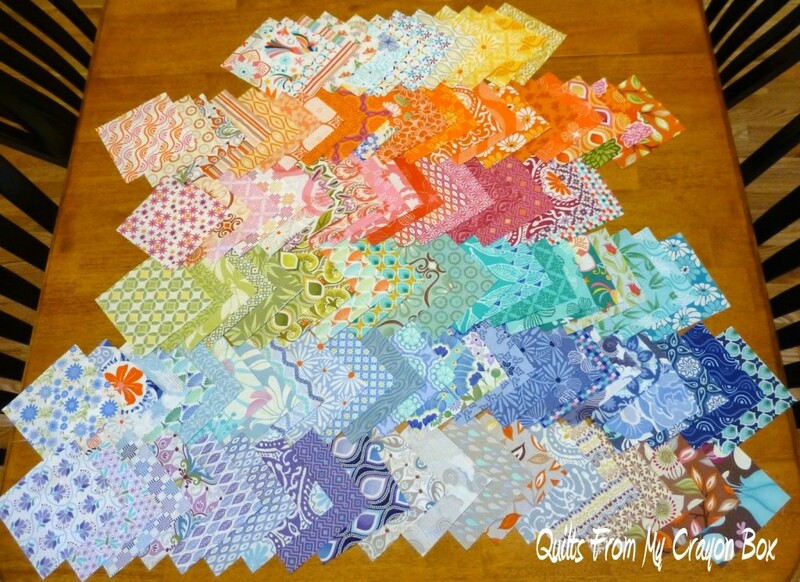 60 pieces of fabric in the mail, quilter’s heaven. 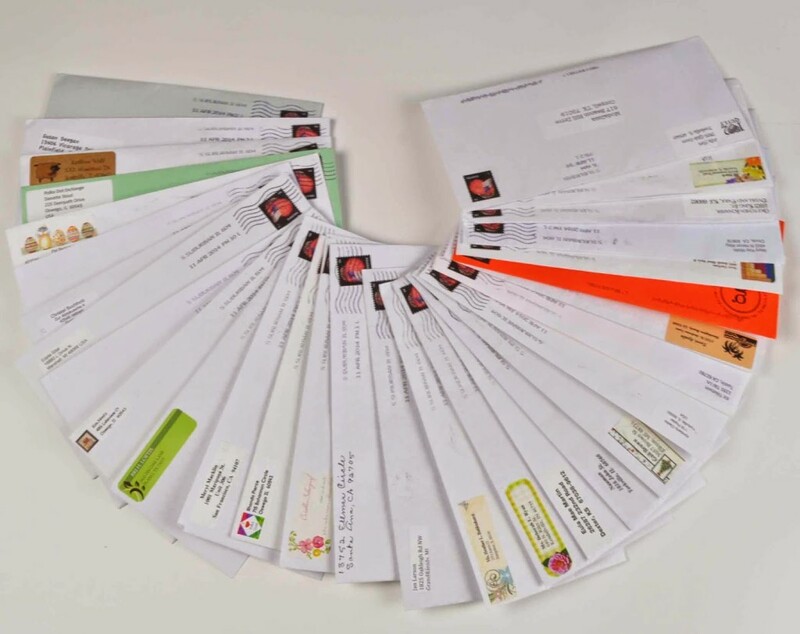 Each envelope has a bit of a story that goes along with the person’s name, where they were from, etc. One of the gals has the same name as an old friend of mine from high school. I checked it out, not the same person but did end up re-connecting with an old friend in the process. Another good exercise about these swaps is that it challenges me to use fabric I did not pick out making me have to work with an open mind and have fun with the creative process. Funny side note: My daughter and I were in Florida this past weekend seeing my BFF. I overheard my daughter telling my friend, you should see all the fan mail my mom gets. This cracked me up. I quickly informed both of them that even though the letters were addressed to modalissa it wasn’t officially fan mail since I had sent them something first. I guess that makes it a reply to fan mail. I hope each of you are having fun in your creative process and making many new friends along the way. Kim and the crew from Prairie Stitches Quilt Shop have come up with a fun idea. A worldwide traveling fabric exchange to celebrate National Quilting Day, March 15, 2014.
triangle exchange with Edyta Sitar making and exchanging thousands of sewn half square triangles. They definitely have the logistics experience. This swap is much easier. You don’t have to sew a thing to swap. Just send 60- 10″ squares of “quilt store quality” fabric to the shop. 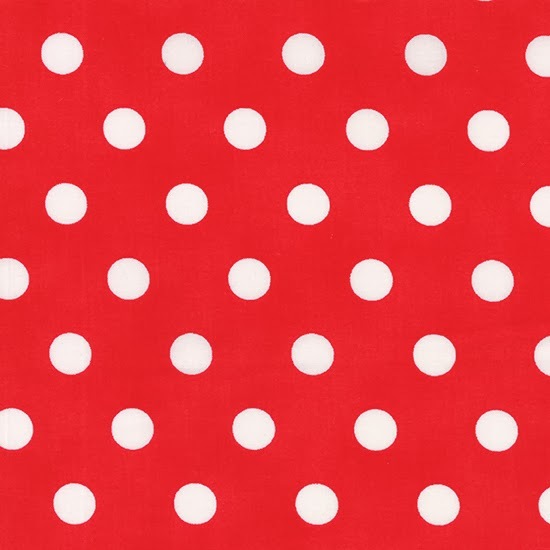 of dots as long as it totals 60. 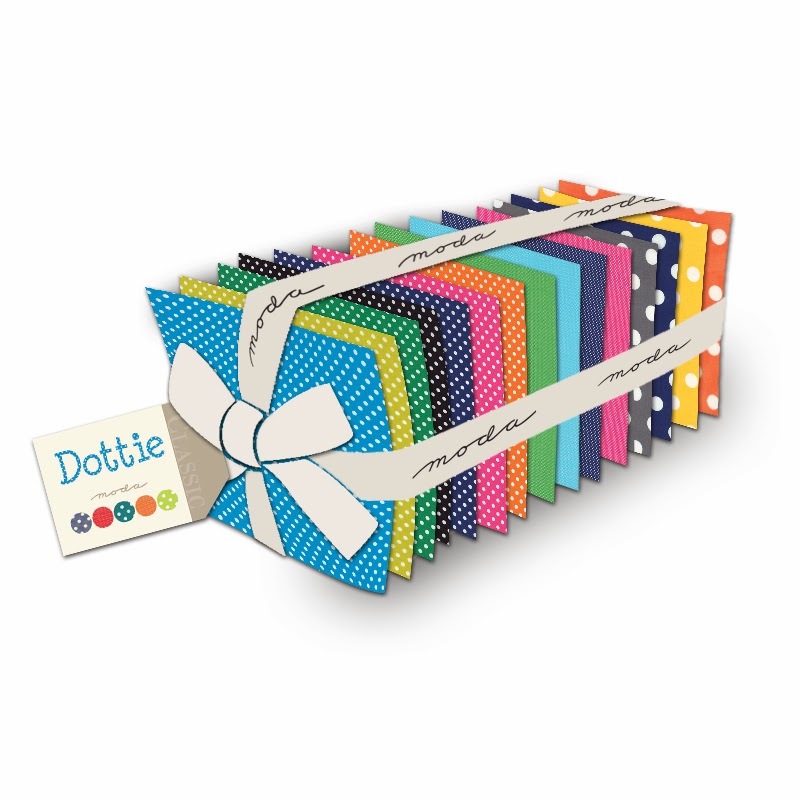 Package each of your squares in a separate envelope and send all 60 to Kim. Here comes the fun part….. as if dots are not fun enough. just saying hello to a new friend somewhere in the world. Kim’s crew is going to handle all the shipping here and abroad. 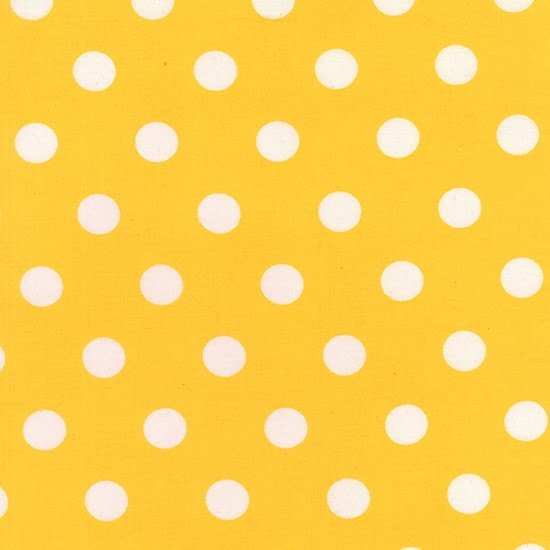 Each person will receive 60 separate “Polka Dot Pal” envelopes. with what to do with your new treasures. If you are interested in joining the fun, please read the complete set of guidelines, please click here. Must sign up by March 15, 2014.